Hi! Welcome to the University of Porto! Here you can find all the answers you need to start your experience at the U.Porto. We are looking forward to helping you....and to welcoming you! 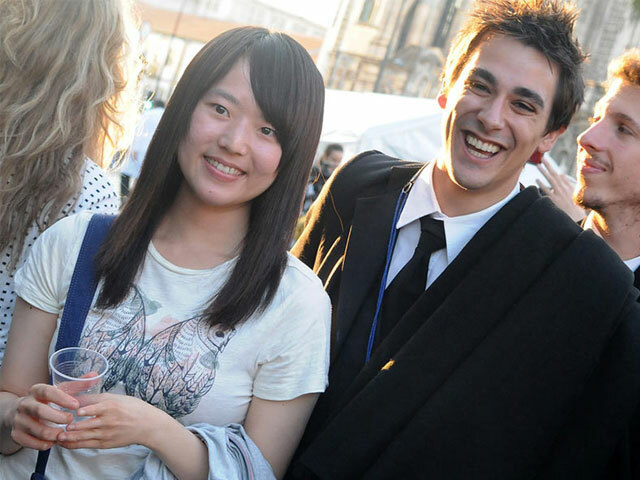 For more information regarding International Students applications, please click here. Why should I choose U.Porto to undertake a cycle of studies? What importance does U.Porto place on International students? 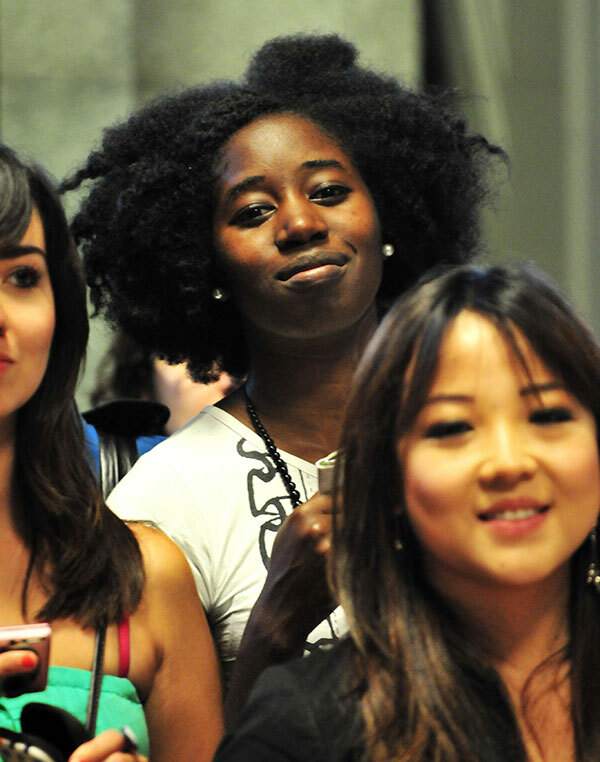 What makes U.Porto so attractive for international students? What do I need to do to study at U.Porto? What is the International Student Statute (ISS)? Do I have to speak portuguese to study at U.Porto? Can I learn portuguese at U.Porto? I was admitted in the University! What now? I have arrived in Porto. Help me! What kind of assistance does the University provide to international students? How is U.Porto campus organized? Can I apply to any grants or financial support? Where can I study within the University? What can I do besides studying? Is the cost of living high in Porto? What does the city of Porto has to offer? Attractive aspects of Porto according to our international students. How can I keep up with what's going on in the University? I have finished my course/mobility period. What now? What will I take from my experience in U.Porto? U.Porto is the number one choice for Portuguese higher education students and one of the top 150 Universities in Europe, according to the main international rankings. If you are looking for a modern University which is proud of its century-old history, one that is ambitious, cosmopolitan, open to the world and that is able to offer you high quality education in a wide range of knowledge fields, you have come to the right place. If you are still not convinced, we will give you ten more reasons. We are hoping you will find many other reasons for yourself! U.Porto is proud to be a University open to the world, result of more than a decade of investment in internationalisation - particularly in the field of international cooperation. For that reason, we do our best to make sure you have the best academic and personal experience of your life! Besides having access to an integration and support network which is a benchmark at international level, you will never feel alone at U.Porto. After all, you can share your experience with about 4000 students and researchers from all over the world – representing about 13% of our academic community – who come to our classrooms and laboratories each year. And, of course, you will have the opportunity to experience the famous Portuguese hospitality with the help of your fellow students and teachers, and also with the help of a city and its people that will make you feel at home. U.Porto was the first option on the application form of 80% of our international mobility students. A Country with a unique history and beauty, a City which is part of the main European tourist itineraries (considered the best European destination in 2014), centuries-old Culture and Language, affordable cost of living and, of course, the quality of education and the international reputation of our University. These are just a few good reasons that bring thousands of students and researchers from all over the world to the University. And those who have had this experience took all this and much more. Do you know why? Many students come to us on the recommendation of their teachers or fellow students who undertook a cycle of studies at our University. Student Statute (ISS), which defines and facilitates the admissions process for our 1st Cycle / Undergraduate (bachelors and integrated masters) courses. Specific application conditions for Postgraduate study cycles (masters degrees and doctoral degrees), are fixed by each of our schools. If you want to "try out" U.Porto before you make your decision, or would simply like to enrich your curriculum, you can also take advantage of one of the many mobility opportunities that the University offer to students from all around the world. What courses can I attend? All U.Porto courses are open to the international community. The education provided by our14 faculties + 1 business school covers almost all vocations, with courses in Architecture, Natural Sciences, Biology, Fine Arts, Engineering, Economy, Arts and much more. there you'll have the opportunity to develop a high quality academic career, from the bachelors up until the doctoral degree. In U.Porto you will also find a wide range of Lifelong Learning courses which include one of the most prestigious MBAs in the world. If you have a dream, it is likely that you can make it come true in our University. For detailed information, please visit the "International" section of this website. I would like to take a full degree at U.Porto. What do I need? If you come from a European Union country and you want to apply for one of our 1st cycle courses (Undergraduate Degree) or an Integrated Masters (IM), you should do so through the National Competition for Access to Higher Education, which governs the access to Public Universities in Portugal. Besides the general access regime (specially destined to students that have completed upper secondary school in Portugal), there are other competitions and special access regimes for foreign students. Of these, we should highlight the Special Competition established by the new International Student Statute of the University of Porto. There are also special access regimes for PALOP scholarship students, and foreign officials (and their families) at accredited diplomatic missions in Portugal, and citizens of East Timor. For postgraduate courses (masters and doctoral degrees), the access conditions are defined by each of the U.Porto Faculties. Find out more about these opportunities in the Admissions area of this portal, or from the University's Office for Access to Higher Education (GAES-UP). For more information, you can also contact the academic services of the school/faculty you want to attend. I want to undertake a mobility period at U.Porto. What do I need to do? All you have to do is follow the example of more than 1500 students and researchers from all around the world who, each year, choose our schools and research centres to complete a cycle of studies. With more than 25 years of experience in the field of international mobility, U.Porto combines the main international mobility programmes (e.g. Erasmus +) with hundreds of cooperation agreements, which has helped promote academic exchange with the best universities in the world. For more information about IN mobility opportunities at U.Porto, contact our International Office, which will help you before and during your mobility experience. Don't forget to ask your institution of origin for information as well. Join us at U.Porto and be part of a unique learning experience. Your story is about to start - Apply now! What is the International Student Statute of the U.Porto? 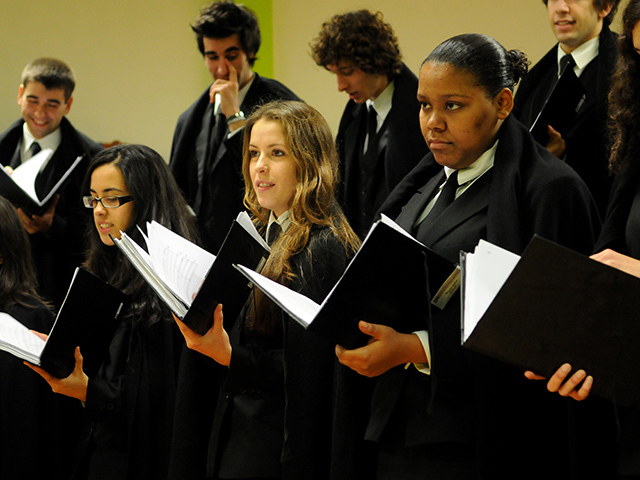 Established in 2014, the U.Porto International Student Statute (ISS) is a mechanism which defines and facilitates the University's admissions process for applicants who are not nationals of Portugal or another European Union country, but who wish to attend one of our 1st Cycle / Graduation (bachelors and integrated masters) courses. The statute defines the access and entry conditions, and provides information about applications/registrations, fees and available places. For detailed information, contact the academic services of the school/faculty you wish to attend. Yes, except for the ISS students, whose tuition fee is set by each school/faculty according to the actual costs of the course, as laid down by law. In 2016/2017 , the annual tuition fee for ISS students attending the 1st Cycle / Graduation (Bachelors and Integrated Masters) degrees at U.Porto in full-time varies between 3,000 Euro and 6,000 Euro. In the case of master's and doctorate's degrees, the amount ranges from 3,000 Euro to 6,000 Euro and from 3,000 Euro to 8,500 Euro, respectively. Given the bonds between Portugal and the CPLP - Community of Portuguese Language Countries (Angola , Brazil, Cape Verde, Guinea-Bissau, Equatorial Guinea, Mozambique, Sao Tome and Principe and East Timor), a reduction of up to 50% may be applied to the tuition fee for students from those countries. I completed a course in my country, but I want my qualifications to be recognised in Portugal. Can U.Porto help me? Yes. If the degree you obtained (undergraduate, masters and doctoral degree) is in this list, the procedure is simple: all you need to do is request a foreign degree registration from the University. If your degree is not in this list, the procedure might be a bit more complex, involving the analysis of the degree(s) obtained, the certificate with your study plan/records, and your previous academic work by an academic committee, and any other documentation required by law and that varies depending on the degree for which equivalence is sought. (schools) Brazilian citizens may obtain qualification equivalence or a degree recognition under the Friendship, Cooperation and Dialogue Treaty between the Portuguese Republic and the Federal Republic of Brazil. It is recommended that you speak Portuguese. Although the growing number of U.Porto's courses partly or entirely taught in English, the majority of our training programmes are taught in Portuguese. For that reason, it is advisable that our students have appropriate language preparation before they come to Portugal or during their stay. Some lecturers allow academic work and exams to be written in other languages, especially English. However, each case has to be proposed and analysed individually. Yes. Because we want you to learn more than the simple “Olá” (Hello) and “Obrigado” (Thank you), we challenge you to enhance your curriculum by learning the fifth most spoken language in the world, spoken in Brazil, East Timor, Angola, Macau and in other countries. You can take an intensive course in Portuguese at the Faculty of Arts of the University of Porto (FLUP). And besides FLUP, other U.Porto schools offer language support to their international students. I was admitted in the University. What do I do now? Congratulations! Welcome to the University of Porto! To make sure everything goes well, don't forget to follow the steps that we recommend to all of our international students. Pack your stuff, plan your journey in advance and bring your map. Your life's greatest adventure is about to begin! Relax! The hard part is done. Let the best part begin. If you are going to attend one of our full degree courses, you have access to an extensive network of support services provided by the University and our schools to help you every step of the way. If you are a mobility student, start by doing your registration at the University's International Office, based in the Rectory building. In this "first encounter" you will be given your exclusive U.Porto Card, along with other useful information that will help you "survive" your first days in Porto. We can guarantee you that, from the moment you arrive at U.Porto, your success will be our priority. Besides all the reception and integration activities the University puts on to welcome the general academic community, you will also benefit from a reception and follow-up policy led by the U.Porto International Cooperation central services and involving other bodies and agents of the University. You will find out what this policy is all about during the international and mobility students welcome session which celebrates YOUR arrival, at the beginning of the semester. You will experience it in your school/faculty, with the help of the specialised support services. And you can also rely on the initiatives of the ESN-Porto (Erasmus Student Network – Porto), a group of volunteers supported by U.Porto whose mission is to facilitate the integration of our mobility students. I don't have a place to stay yet. Can the University help me? Yes. If you are attending one of our 1st Cycle / Undergraduate (bachelors and integrated masters) courses or 2nd Cycle / Masters courses and you can’t afford to rent an apartment in the city, U.Porto campus has 9 Halls of Residence with a capacity for about 1200 students. A limited number of vacancies are reserved for international students under our mobility programmes and protocols. Contact the U.Porto International Office to get help throughout the process of looking for accommodation in the city. For more information, you can also contact the Social Services of the University of Porto (SASUP). One of the first things you will notice when you arrive at the University is that there isn't exactly a "campus". Strongly embedded in the city life, U.Porto's activities are spread out over three main urban centres, to which we can add a fourth that is in a rural area 40 km from Porto. If fact, the richness of our unique campus lies in this dispersion; you will find that the modern and historic buildings, the gardens, the sporting spaces, and other facilities are organised so as to ensure the best academic, social and cultural experience. Check the University map, so that you don’t get lost! If you come from an EU country and you are attending a full course (Bachelor, Master or integrated Masters degrees) in our schools, you can apply, like any portuguese student, to the study grants awarded by the Social Services of University of Porto (SASUP). If you are covered by the International Student Statute (ISS) or you are performing a mobility period , you do not benefit from direct social support. In alternative, you can apply to other sources of financing promoted by outside institutions , governmental entities, or partner institutions of the University. For further informations about funding opportunities available to the international students of the University of Porto , please contact our International Office. As a University of Porto student you benefit from privileged learning conditions and you have permanent access to a large number of study areas. Explore the knowledge offered by our network of libraries; use our high-speed Internet connection anywhere in the campus; discover our e-Learning platforms and visit the e-Learning Café... We do our best to make sure you have everything you need to succeed! The European Credit Transfer and Accumulation System (ECTS) for higher education is a tool used to assess the volume of work you carry out in a curricular unit in your course, which facilitates the recognition of your academic record in Portugal and elsewhere in Europe. At U.Porto, one ECTS credit corresponds to 27 hours of a student's work (including classes, student tutorial sessions, traineeships, academic work, etc.). Our courses have the following credits/duration displayed here at left. Find out these and other useful terms at U.Porto Academic Glossary. What can I do at the University besides studying? of more than 1000 students and take part in voluntary activities sponsored by the University. Moreover, don't forget to visit our museums and join in the events promoted by your students association. We will do our best to make sure you have a fulfilling and unforgettable University experience. Have you ever heard of port wine? How about Futebol Clube do Porto (FCP)? And let's not forget the Torre dos Clérigos and the delicious "Francesinha". Of course you have! But these are only some of the attractions of a city with a rich history, which has been deemed the best European destination twice in the last three years! With an intense social and cultural life, a low cost of living - when compared to most of the big European cities - in a wonderful geographic location, with an unique historical and cultural heritage and whose people have a PhD in the art of good hospitality, the "Invicta" (Unvanquished) city is perfect for being both a student and a tourist. Follow our tips to make the most of Living in Porto! No. On the contrary. From accommodation to eating, including transport services and cultural life, Porto is a low cost city when compared with most big European cities. For example, for less than 15 euros, you can have dinner, go to the cinema and buy your bus ticket to explore the city centre (check out some examples)! If you want to save even more money, you can opt for the University accommodation services or have a good, cheap meal (from 1.95 euros), in one of the canteens, restaurants, snack-bars and grills that you can find in the different university poles. To keep track of the day-to-day activities of the University, we invite you to check our various information supports. Besides our Website, make sure you visit our news portal and follow us on Facebook, Twitter, Instagram and Youtube! Most importantly, we hope we have met your expectations! If you completed a cycle of studies and obtained your degree from the University of Porto, we want to help you put your competences at the service of the community, as quickly as possible. For that, you will have the support of the employability services in each of our faculties. If you completed a 1st cycle course (Undergraduate Degree) or an Integrated Masters (IM), we recommend that you continue your studies on of our postgraduate courses. If you completed a mobility period and you would like to come back, contact our International Cooperation services to find out about the available opportunities. The employment rate of graduates who completed their course at the University for more than five years is higher than 80%!? What will I take with me from this experience? We would like you to be the one answering that question, after you have accepted our challenge. For now, we will share some personal testimonies with you. We hope they INSPIRE YOU! 97 % of our international mobility student recommend the University of Porto at the end of their study period as the best international experience ! Send your doubts and suggestions to info@up.pt. We will answer as soon as possible.